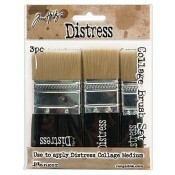 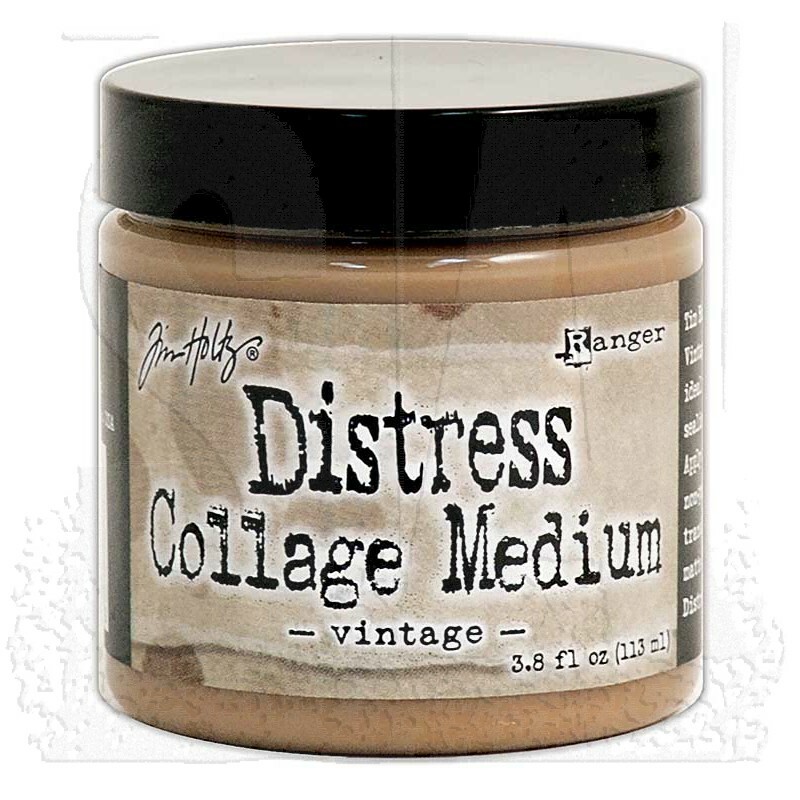 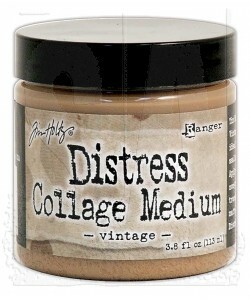 Vintage Collage Medium dries semi-translucent with a vintage tinted matte finish. Available in 3.8 fl. 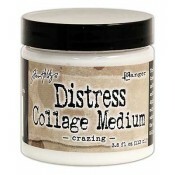 oz jar.